October 25th in Theme Lists, Themes for Businesses by Wordpress Jedi . Business Finder: as the name suggests, this theme lets you start your own business directory. It supports PayPal payments, featured listings, ads, AJAX search, and Google Maps. 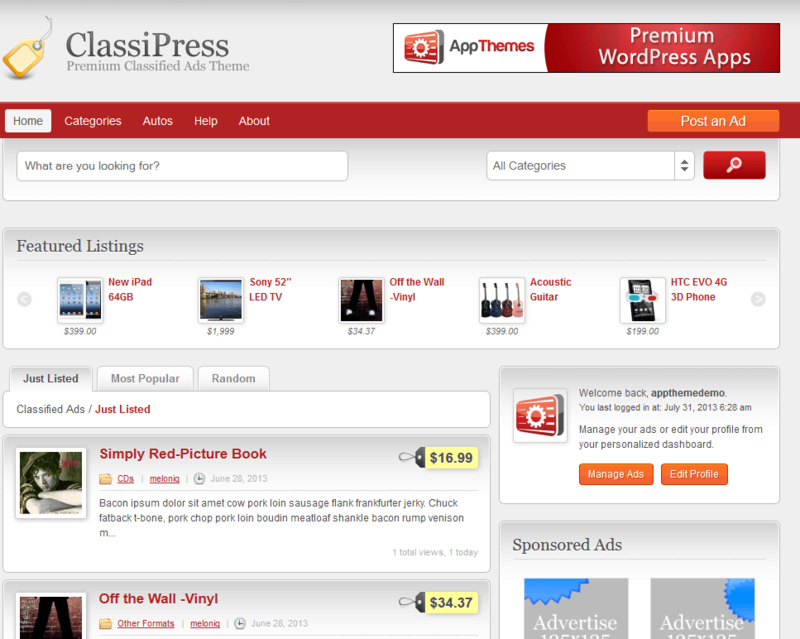 ClassiPress: one of the best WordPress classified themes we have tested. It has a fully customizable front page with support for multiple pricing models, membership packs, and social login systems. 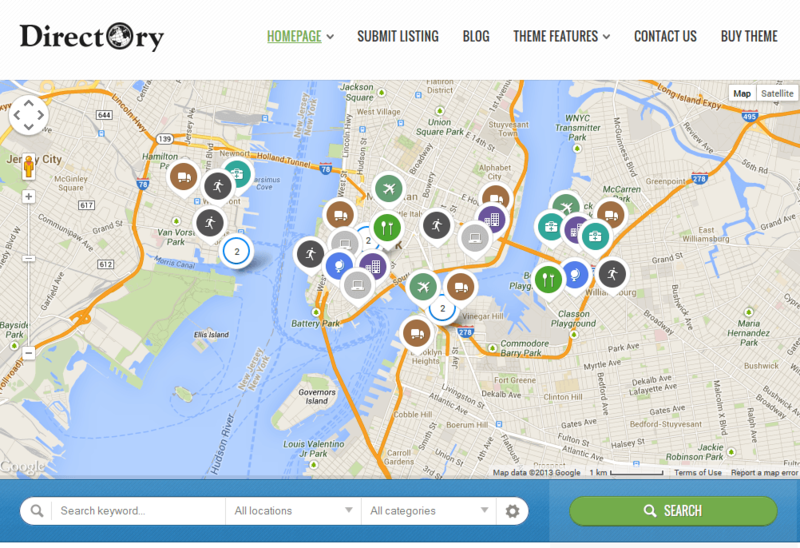 Directory Portal: a beautiful theme with PayPal integration and geolocation support. You get the Revolution Slider too. This is a responsive theme. 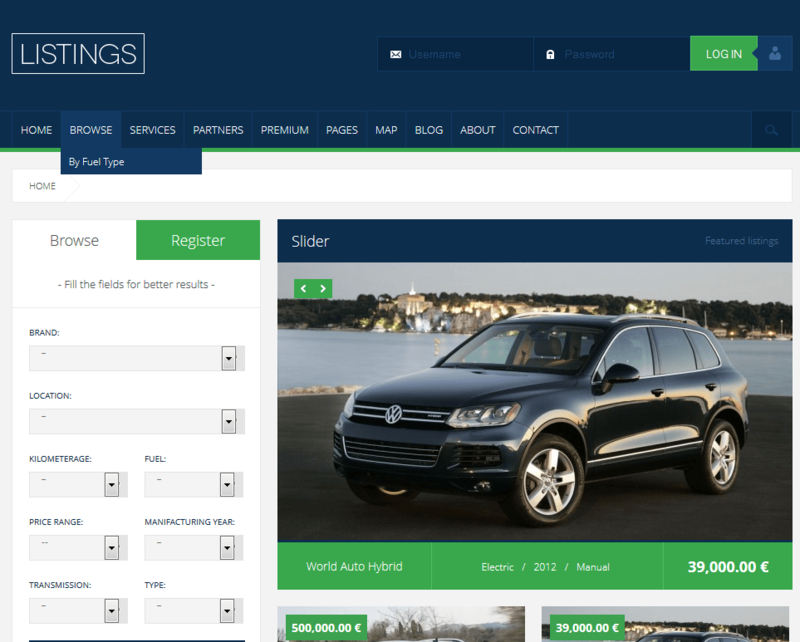 Listings: a responsive theme you can use for selling cars, real estate, and similar services. You get 8 page templates, 3 custom post types, and 7 skins. eList: a pretty affordable solution for online directory sites. You can customize various aspects of it using the ePanel system. 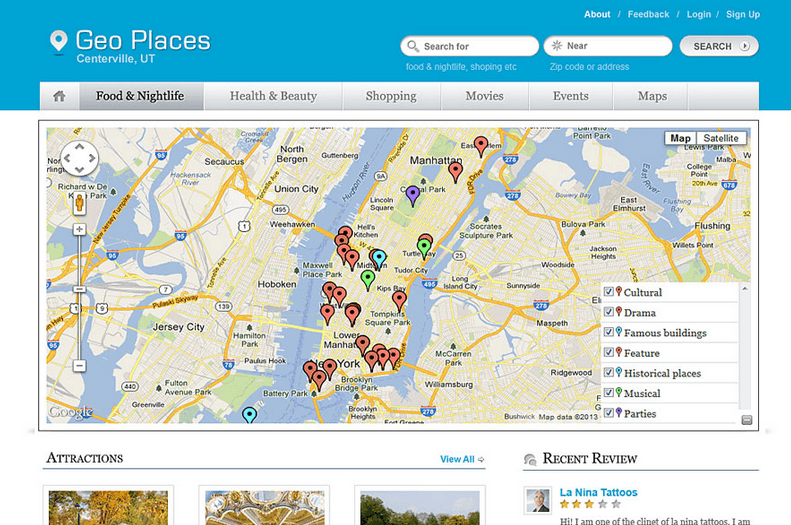 Geo Places: a powerful theme for city directory portals. It has customizable submission forms, can handle multiple cities, and is ready to be translated. 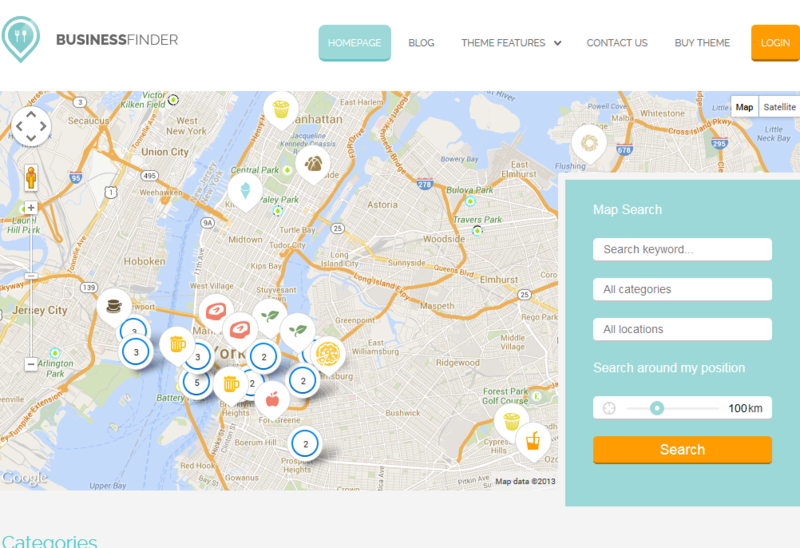 SpotFinder: has a drag and drop interface with a responsive design. You get PayPal integration and front-end submissions. Facebook login is also supported. 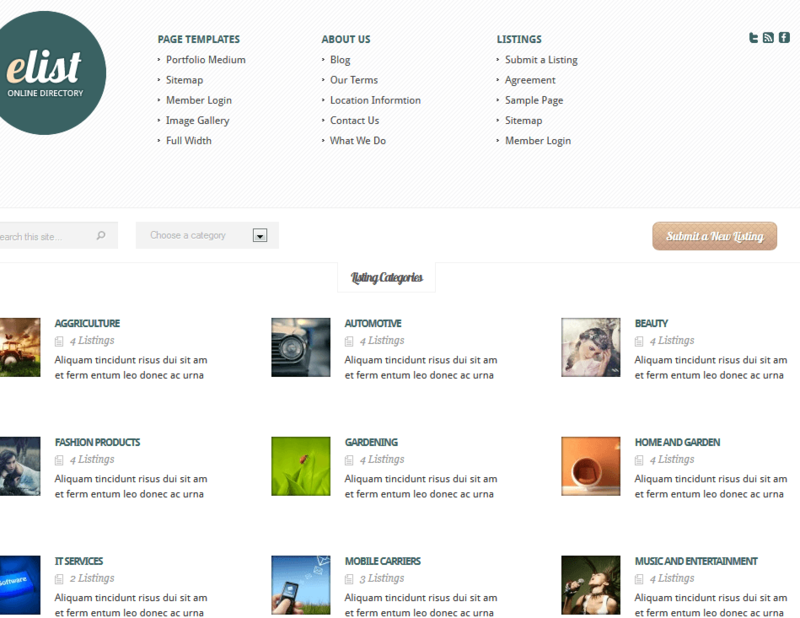 Directory Theme: a responsive HTML5 theme for your business. 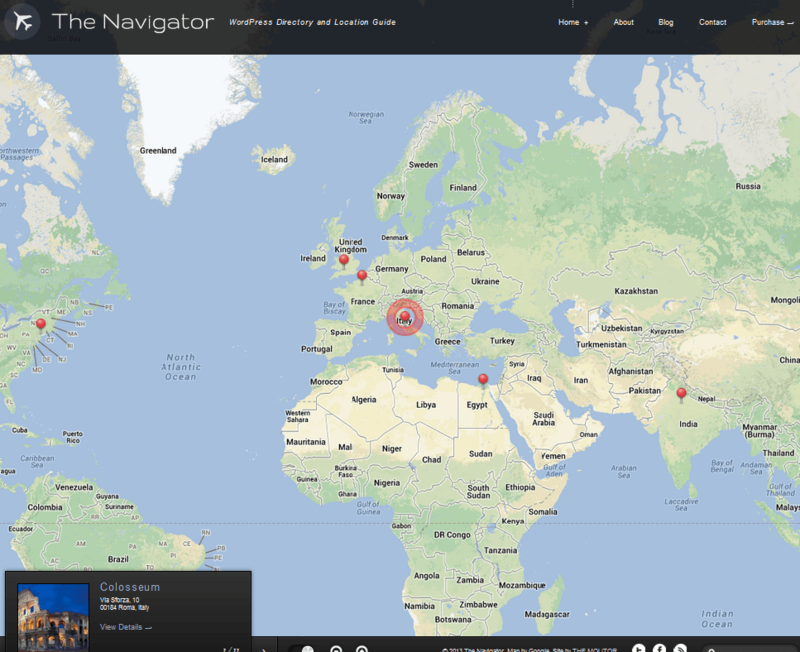 It comes integrated with Google Maps, supports user uploads, and lets you handle listing packages. 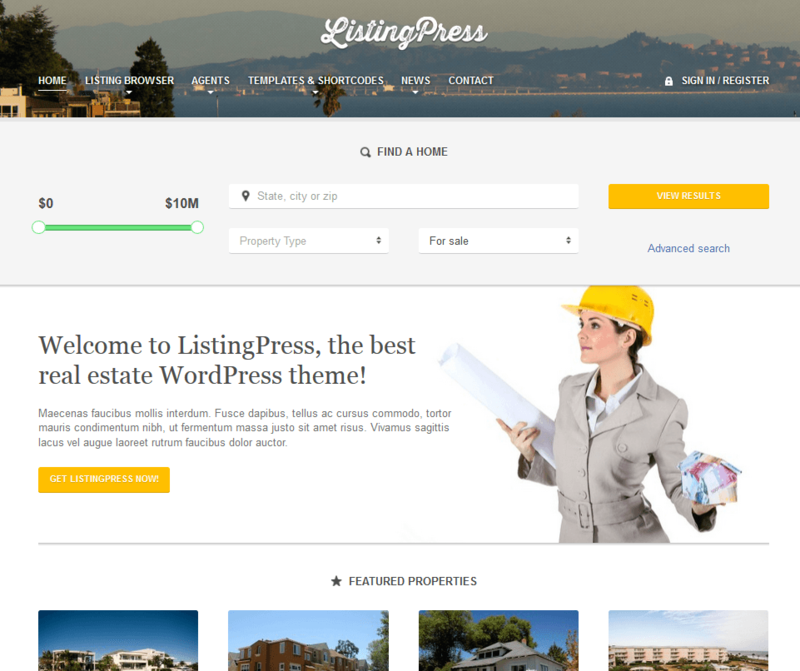 ListingPress: works for real estate and other types of listings websites. It is mobile friendly and offers live site search with AJAX. Searches can be saved too. 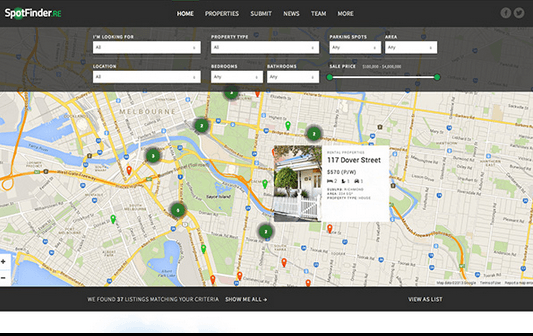 The Navigator: this listings theme is translation ready and offers Google Maps integration. It offers full screen image backgrounds, color options, jQuery effects, and many more features. 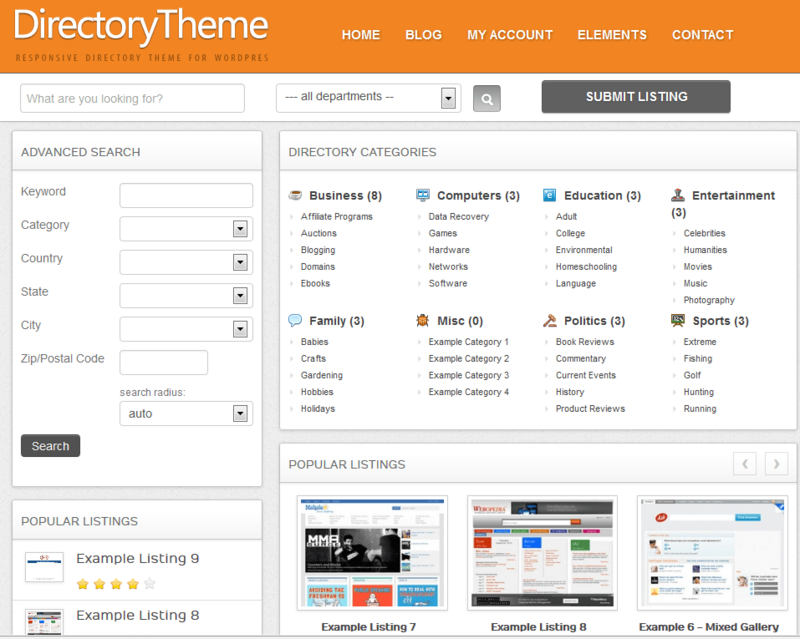 Which one of these business directory and listings themes are you impressed with the most?